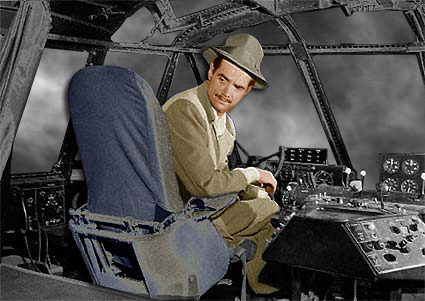 Palomar Technologies’ roots are based on the legacy of Hughes Aircraft, the legendary defense avionics pioneer. Hughes was globally recognized as innovator and expert in all things ultra-high technology from the 1930s to 1980s. Its achievements included major advancements in automated precision wire bond, gold wire bond, wedge bonding, and high accuracy component placement technology die attach. Established in 1995, Palomar Technologies was a former division of Hughes Aircraft’s Industrial Products Division (Assembly and Test) that was founded in 1976. Today, it is a privately held US company, owned and operated by local management. 2008: Local Palomar management leads a buyout from its owners at Citicorp and becomes a fully controlled, privately held company. Formerly known as SST International and established in 1965, SST Vacuum Reflow System designs, manufactures, delivers, and supports equipment, tooling, and services for thermal processes used in the assembly of microelectronic devices. In March 2015, Palomar Technologies acquired SST International. Palomar, together with SST, provides expanded product offerings for microelectronics assembly, increased access to NPI development, process development capabilities, and broader access to world markets. In the mid-1980s, Hughes Aircraft was dispersed and sold to several large companies. The purchasing companies included Raytheon, News Corp (operating as its DirecTV division), Boeing, and GM. SST's roots go back over 50 years to the original DAP sealer developed by Dix Engineering in 1965 in Costa Mesa, California. The DAP (Diode Assembly Process) sealer was designed to simultaneously perform hermetic glass-to-metal seals on hundreds of axial-leaded diodes per batch. The diode components were loaded into graphite boats which were resistively heated in a vacuum/pressure chamber. The quality of the seals produced far exceeded other methods in use at the time. In the late 1970s, integrated circuits largely replaced discrete diodes and the demand for DAP sealers diminished. The company was sold, relocated to Downey, California and renamed Scientific Sealing Technology. The new owner focused on finding new applications for the vacuum/pressure/heating technology. Hermetic solder sealing of ceramic IC packages provided a growth opportunity. Meeting new and evolving military specifications for low moisture levels inside the IC package provided a new market opportunity for the old DAP sealer. For the next 20 years, SST grew its product offerings, broadened its applications portfolio, and expanded into new world markets. The old analog temperature controller gave way to a punch-card programmed DAP-1100, which soon gave way to the CRT display and keypad programming of the DAP-2200. High vacuum systems and wafer bonders evolved from the basic soldering and glass-sealing furnaces. Applications grew in the telecommunications markets for die attach of MMIC (Monolithic Microwave Integrated Circuit) chips and assembly of laser diode packages. New sensor technologies for both commercial and defense relied upon SST's equipment for critical assembly processes. At the turn of the century, Scientific Sealing Technology became SST International, reflecting the worldwide presence and reputation the company enjoyed. The new 3000 series of furnaces and bonders was released. These utilized modern computer controllers with full data logging and unlimited profiling flexibility. Larger work-area systems were introduced with higher production capabilities including the Model 5100 and the fully automated AVS-4000. The company developed equipment and processes for getter activation and high vacuum sealing of MEMS (Micro-Electro-Mechanical-Systems) packages.